Large trucks are a stress for many Massachusetts drivers, especially on busy routes like the Mass Pike. The most challenging situations are when a truck comes up behind you or when one tries to pass you. There were nearly 415,000 truck crashes in the U.S. in 2015, injuring more than 116,000 people and killing more than 4,060, according to the Federal Motor Carrier Safety Administration. As phones, cars, drones and apps all make our world smarter and faster, the trucking industry must get smarter too. Let’s be clear: We are not advocating for self-driving trucks, but tools that increase video monitoring, expand the driver’s visibility and provide error warnings are all going to help improve safety. AAA says these technologies could save up to 63,000 lives per year. For this study, AAA reported on a number of industry studies. Video-Based Onboard Safety Monitoring Systems could deploy two cameras. One would record the road ahead and the other would follow the driver’s behavior and performance inside the cab. To provide more thorough monitoring, the study said rear cameras could be added, one to capture the center line of vision and one for each side. 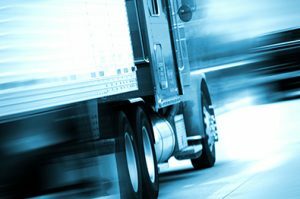 According to the data, video monitoring systems may have prevented 38 to 52 percent of large truck safety critical events, 20 percent of large truck fatal crashes and 36 percent of large-truck injury crashes. Lane Departure Warning Systems monitor a truck’s position on the road and provide the driver with warning if the truck starts to leave the lane. AAA reviewed 13 studies which found lane departure warning systems were 13 to 53 percent effective in preventing roadway departure, sideswipe, opposite sideswipe and head-on truck crashes. Automatic Emergency Braking Systems are designed to prevent trucks from crashing into other cars from behind. The in-vehicle system uses a sensor to look ahead of the truck, then alerts the driver if there is a potential for collision. The driver can use this information to reduce speed or make another driving decision to prevent a truck crash. If the driver takes no action and the system detects a crash is coming, it will take control of the truck’s brakes. AAA reviewed five studies that found automatic emergency braking systems prevent rear-end collisions by 16 to 52 percent. Air Disc Brakes can reduce a truck’s stopping distance by up to 30 percent and reduce large truck rear-end collisions by up to 43 percent, according to the reviewed studies. This technology was not widely used in the U.S. for years. Not every safety measure has to be high tech. Many U.S. cities are considering lower tech truck safety measures. In 2014, Boston approved the nation’s first truck side guard ordinance, requiring city-contracted trucks to use side guards and convex mirrors. Other cities have followed including New York City and Chicago. Meanwhile, the City of Cambridge has equipped its own city trucks with side guards and MassBike, the state’s largest advocacy organization for cyclists, had proposed legislation for a statewide truck side guard law in Massachusetts. But no action has been taken. Truck side guards block the area below the truck’s cargo, between the wheels, so cyclists and pedestrians cannot get towed under. Read more on truck accidents and injuries to cyclists. If you have been injured, contact the Boston truck crash lawyers of Breakstone, White & Gluck for a free legal consultation. With more than 100 years combined experience, our attorneys have investigated complex truck accidents which have injured drivers, motorcyclists and pedestrians. We have negotiated multi-million dollar awards for our clients. Contact us at 800-379-1244 or 617-723-7676 or use our contact form.